Rubber seals are used in a variety of ways, including in car parts, plumbing and home appliances. These seals can become loose over time and need to be resized or replaced. Rubber polymer molecules have interesting properties that allow them to change size when exposed to extreme temperatures. If you need to change a seal to a smaller size, heating it can cause it to shrink. 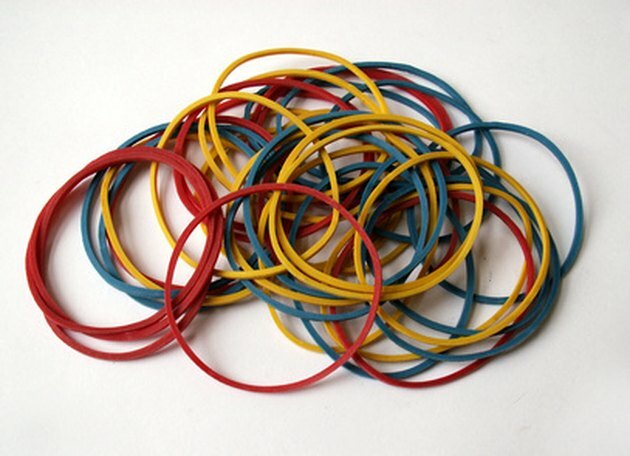 The polymer chains in rubber seals allow them to stretch and contract. Fill a pot up with hot water. Place the pot of water on the stove top. Bring the water to a boil. Drop the rubber seal into the pot of boiling water for 1 minute. Remove the seal with tongs. Allow the seal to cool to a handling temperature. Install the rubber seal to check the fit. If it is still too large, repeat the process to shrink it further. Use a heat gun to shrink rubber seals that need to shrink in place. This will create an airtight seal.